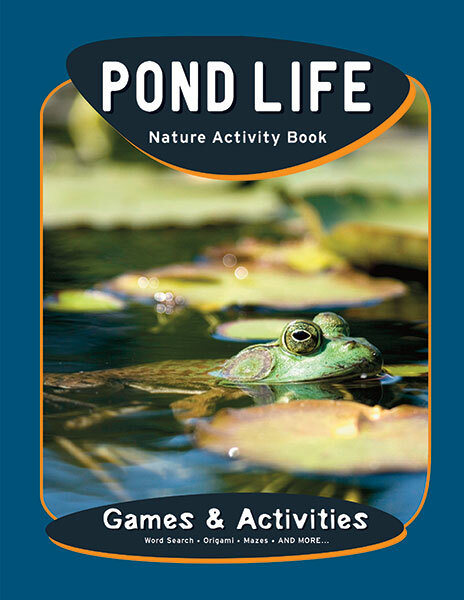 Ponds are unique ecosystems that support a wide variety of plant and animal life. 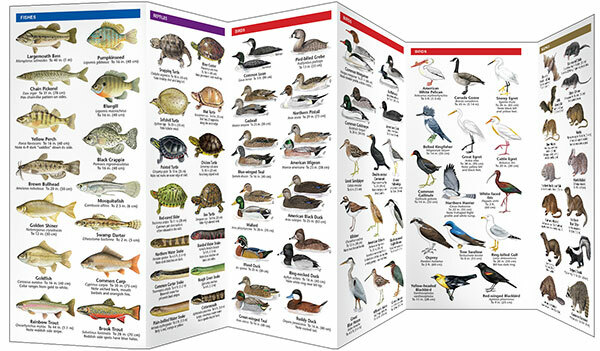 This beautifully illustrated guide highlights over 140 familiar and unique species of birds, mammals, reptiles, amphibians, fishes, insects and other invertebrates, trees, shrubs and wildflowers. 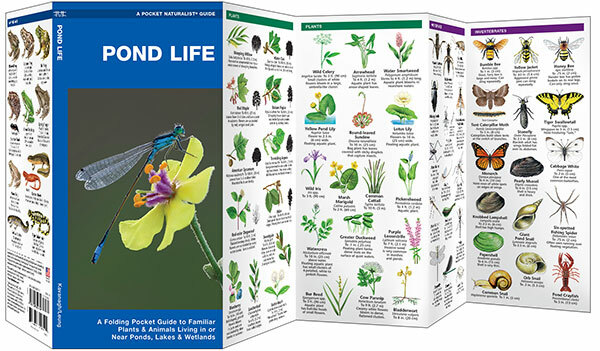 Laminated for durability, this lightweight, pocket-sized folding guide is an excellent source of portable information and ideal for field use by naturalists of all ages. Made in the USA.